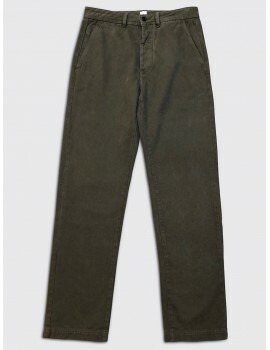 This slim fit A.P.C. 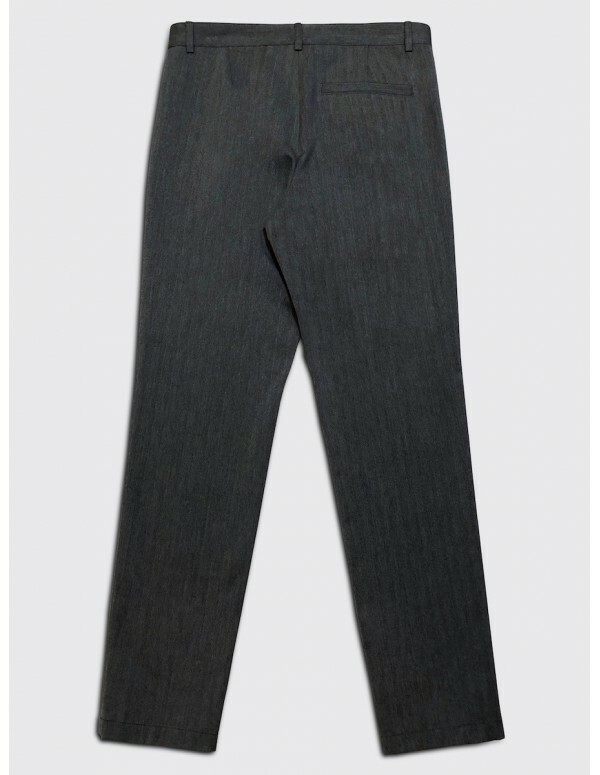 trouser is made from a premium cotton and wool blend herringbone fabric. 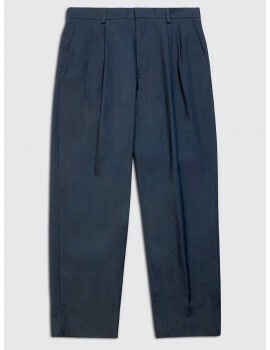 It features front pleats, belt loops and in seam pockets. 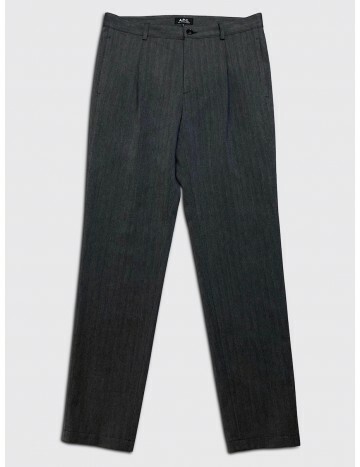 waist 83cm / 32.7" 87cm / 33.5" 91cm / 34.3" 95cm / 35.1"
rise 26cm / 10.2" 27cm / 10.6" 28cm / 11" 29cm / 11.4"
inseam 82cm / 32.3" 83cm / 32.7" 84cm / 33.1" 85cm / 33.5"
This tapered fit Dries van Noten pleated trouser is made from a fine washed cotton twill. 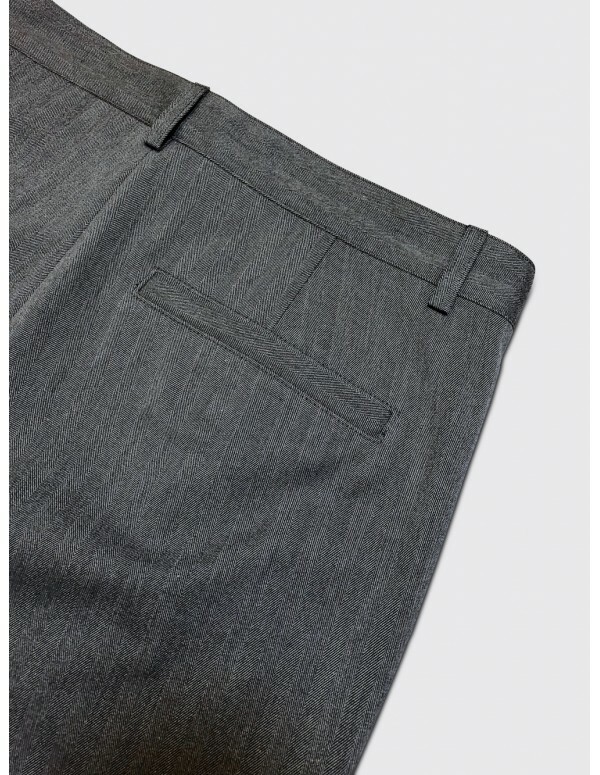 It features double front pleats, slanted pockets and flap rear pockets. 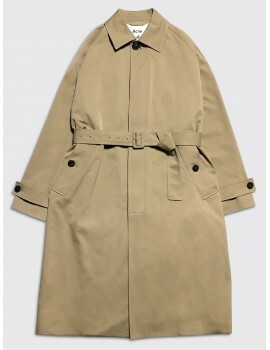 A matching jacket is available. 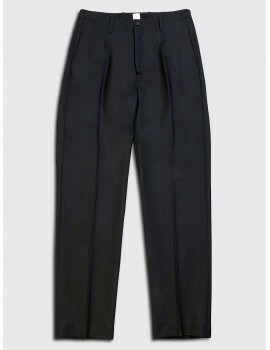 This classic fit Lemaire pants is made from a lightweight cotton twill. 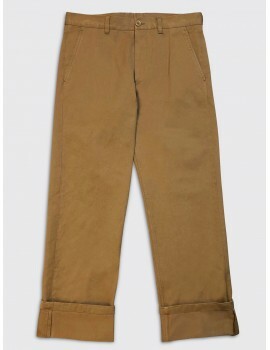 It features an elasticated waist. These regular fit Acne Studios trousers are tailored from a premium cotton stretch twill with a satin finish. 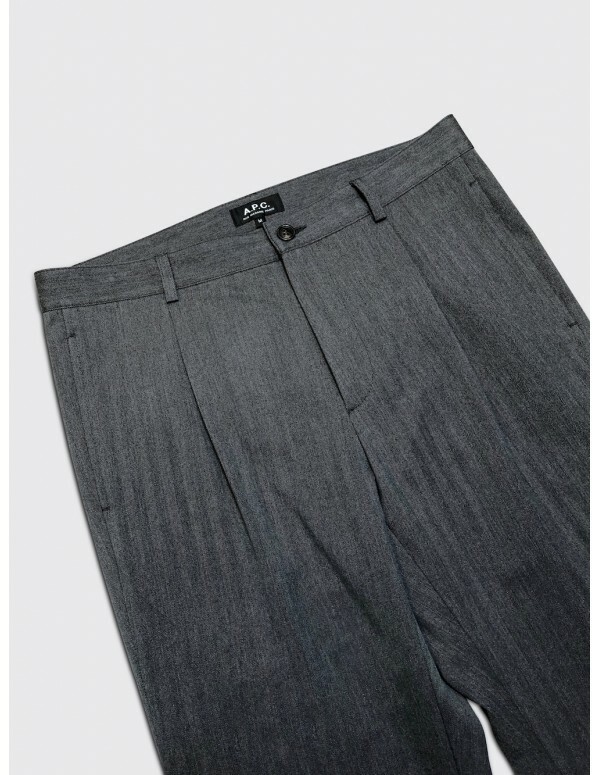 They feature a fully tailored curtain waistband, slanted pockets and and welted rear pockets. 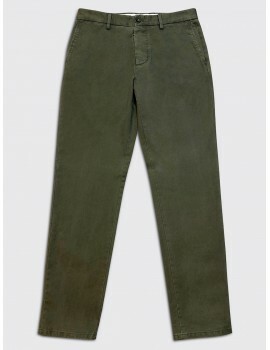 Best value for money we have ever seen! 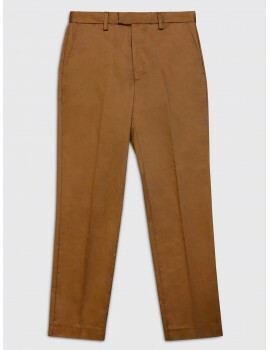 This slim fit Maison Margiela 14 trousers are made from a premium cotton twill. 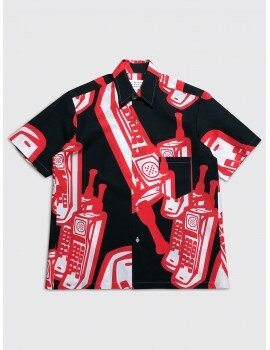 It features a button fly with hook closure, slanted pockets and the iconic four stitches on the back. 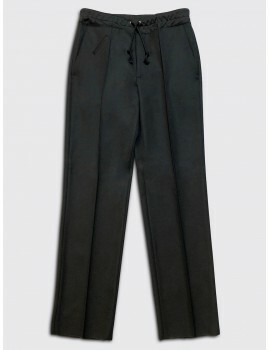 This wide fit Maison Margiela 10 trouser is made from a premium cotton gaberdine with a rigid handle. 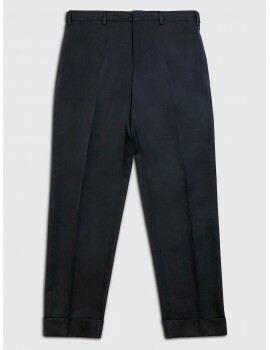 It features a rear elasticated waist, a taped tonal chevron and large cuffs. 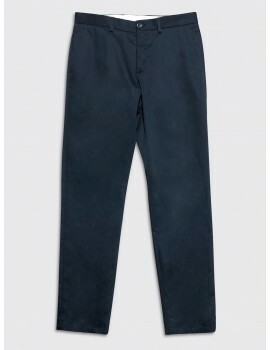 This loose fit Dries van Noten chino is made from a heavyweight cotton twill. 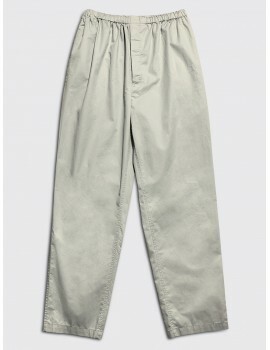 It features slanted pockets and large turn ups. 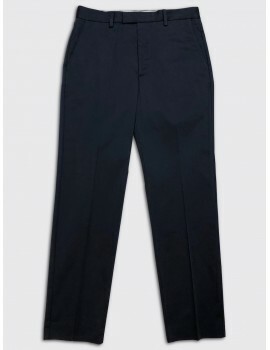 This slim fit Maison Margiela 14 chino is made from a premium cotton twill. 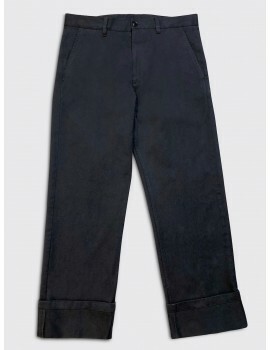 It has been garment dyed and features a button fly with hook closure, slanted pockets and the iconic four stitches on the back. 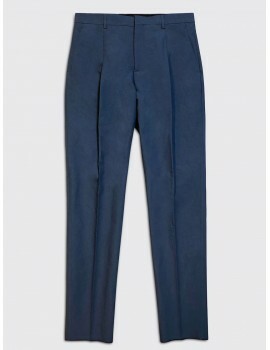 This tapered fit Dries van Noten trouser is made from a fine wool twill. 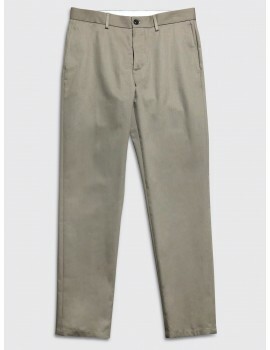 It features side adjuster details and large turn ups. 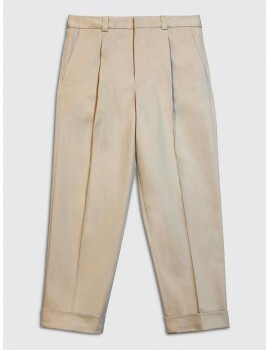 A matching double breasted Jacket it available. 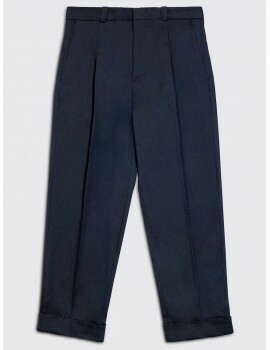 This classic fit Maison Margiela 10 hybrid trouser is made from a heavyweight wool blend gaberdine. 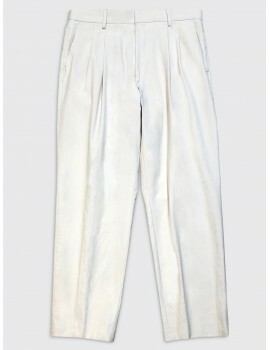 It features a jogging waistband in a contracting fabric and the iconic four white stitches on the back. 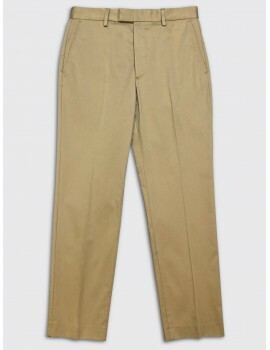 This classic fit 7d garment dyed workwear trouser is made from a heavyweight cotton drill. 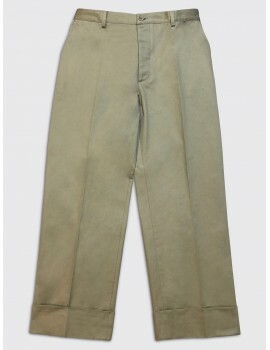 It features a natural horn button fly, belt loops and large rear patch pockets. This classic fit 7d suit trouser is made from a heavyweight wool gaberdine. 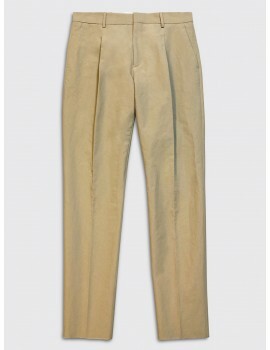 It features a natural horn button fly, pleated front and slanted pockets.